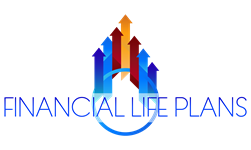 Investment Management is offered for clients who want help implementing the investment recommendations laid out in the financial plan that they have chosen (Quick Start, The Foundation or Life Plan) or it can be provided on a stand alone basis. Avoiding short-lived investment fads, we focus on market efficiency and sound economic philosophies. After defining your objectives, we develop a portfolio utilizing the knowledge of the industry’s foremost investment strategists, which may consist of a variety of investment options, such as bonds, Exchange Traded Funds (ETFs), mutual funds, stocks, and other investment vehicles, emphasizing risk management and diversification. Our classic, disciplined, and time-tested strategies help us guide you toward financial freedom.